Paddlers can launch at Canoe Outpost in Wimauma and glide along the Little Manatee River looking for yellow buckets containing playing cards during the upcoming Poker Ride/Hike/Paddle Jan. 19 at the Little Manatee River State Park. The Friends of the Little Manatee River State Park will host its annual poker-themed Ride/Hike/Paddle Jan. 19 from 9 a.m. to 2 p.m. at the Little Manatee River State Park event field, 215 Lightfoot Road, Wimauma. Participants of all ages will set out in whichever mode of travel they choose to navigate park trails by following a map marked with five different locations, where they’ll find yellow buckets with sealed envelopes containing playing cards in them. Their goal is to stop, take an envelope from each bucket, complete the route and bring all five unopened envelopes back to the event field by 1:30 p.m. There, before judges, they will reveal the playing card in each envelope, and make the best poker hand from the five cards they collected. If one of their cards is a joker, they get to spin the Wheel of Luck, win an immediate prize and then receive a replacement card for their hand. Anyone who missed a bucket can draw from an extra bucket to complete their hand, and extra cards may be purchased for $1 to increase the odds of making a winning hand. The winner doesn’t need to be present. 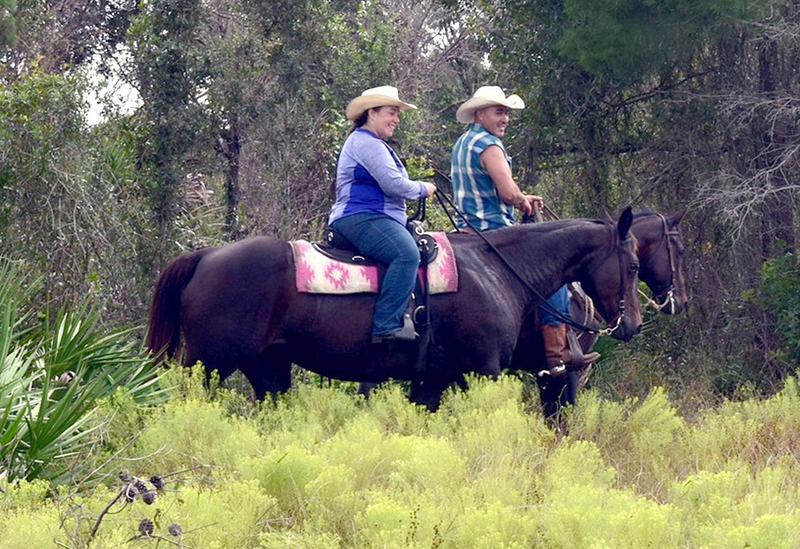 These will include a two hour, private horseback-riding package from Born to Ride in Parrish; camping trip from Little Manatee River State Park; Canoe Outpost river ride; Poker Ride T-shirts and park passes. Advance admission at www.friendsofthelittlemanatee.org is $20, which includes the park entry fee and a cheeseburger, sides and iced tea or water. The cost is $25 the day of the event. Anyone wanting lunch needs to RSVP by calling Judy Everidge at 813-634-8716 or e-mailing her at jneveridge@gmail.com. Horseback riders are invited to navigate trails at the Little Manatee River State Park from 9 a.m. to 2 p.m. Jan. 19 as part of the annual Poker Ride/Hike/Paddle fundraiser sponsored by the Friends of the Little Manatee River State Park. Hikers and horseback riders will check in at the event field. Per state law, a negative Coggins test result is required on all horses, and children under 16 riding a horse must wear a helmet. Born to Ride will bring a horse to the park for a participant to ride by calling ahead at 941-812-1980. The cost is $70 and includes the event admission. Paddlers are asked to sign in and launch at the Canoe Outpost, 18001 U.S. 301 S, Wimauma. The outpost is offering discounted canoe or kayak rentals for folks who don’t have one and a discounted shuttle service to the event field to turn in their cards and go back to their cars after the event. For information, call 813-634-2228. 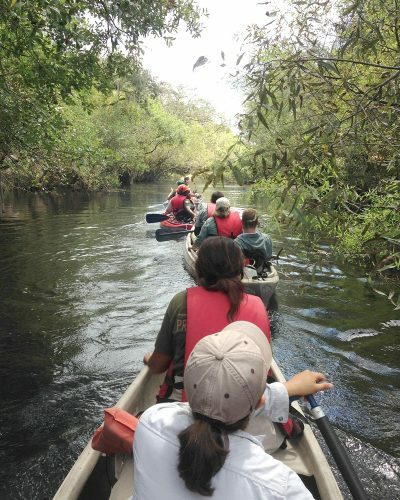 The Friends of Little Manatee River State Park is a 501(c)3 charitable organization that promotes the park and its offerings to the public. The group sponsors other annual events, which include The Haunted House & Trail, Treasure Hunt, moonlight rides and the Spring Fling, all of which help pay for park projects or expenses that aren’t included in the state budget. For more information on the Poker Ride/Hike/Paddle or for special needs accommodations, call 813-677-9291 or visit www.friendsofthelittlemanatee.org.